Odyssey FFXGSBM10WBL Flight FX Series Black Label DJ Coffin DJParts - All Variety of Parts that DJ Needs. 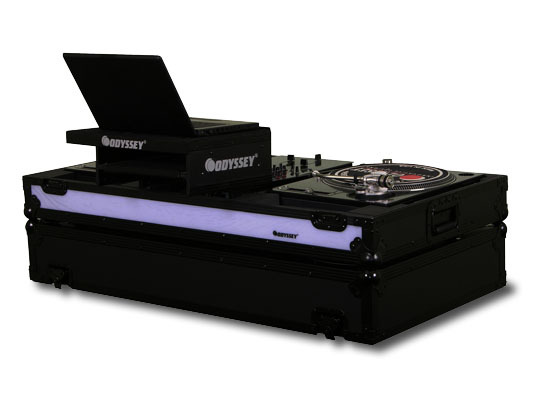 The ordinary has become extraordinary with Odyssey's new Flight FX™ case series. Embedded into the case wall is a color changing multi-mode LED panel that runs across the front of the case. The panel can be set to any one of seven colors or can be set at a variety of color changing modes. For multiple case setups, any FX case can be synchronized to another by linking the control boxes. Each Flight FX™ Series case is constructed with the same black anodized and powder coated black hardware as our Flight Zone® Black Label™ cases complimenting the visual aura of the glowing panel. 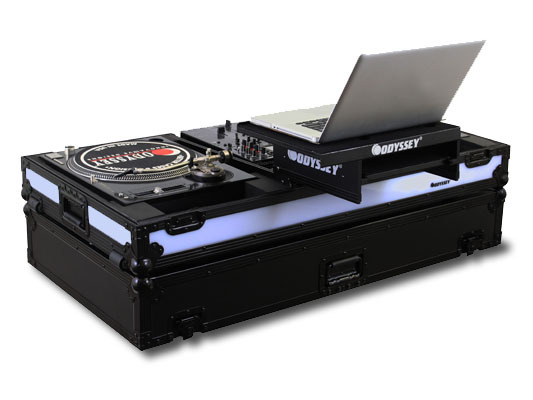 Become center stage at any gig behind these cases. Innovating? Of Course! Another Spectacular original Odyssey Design. Just excellent!! !